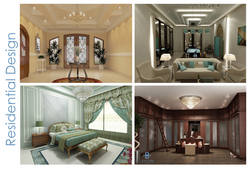 Design Hub Interior Design and Decoration founded in 2014 with a primary goal of achieving maximum client-satisfaction, is among the top interior design firms with projects all around the region. We have an excellent track record for providing the best quality and services, having years of experience in a wide range of projects from residential villas and palaces to commercial spaces such as offices, retail, booth designs (styling and decorating) and landscape design as well as event management. We cater to a wide variety of clients’ good taste and enhance it together with our expert team. We are composed by a team of professionals specialized in different fields from designing, technicalities, and finance aspects of the project. All working carefully and thoroughly planning to create seamless, well executed, and beautifully crafted projects delivered on time and on budget.